Between Two Shores - and Book Giveaway! Oh this sounds like an exciting book rich in emotions and finding Gods truths. I have put this on my to buy list. Thank you for the chance. I’ve been seeing this book everywhere, and it sounds so good! I really enjoy Jocelyn’s books and have been wanting this so thank you for the chance to win a copy. Unfortunately I do not know much about the French and Indian War. This sounds intriguing. I don’t think I’ve ever read a book set in this time period before! I love Jocelyn Greeen’s other books and would love to read this one! I am listening to Jocelyn Green’s “Widow of Gettysburg,” this week, so I know how well she does historical detail. This cover is simply gorgeous! Interesting topic. I’ve never read anything about the French & Indian war in Canada. This is on my ‘to read’ list! I haven’t read any books by this author before, but I have been wanting to! Jocelyn writes great historical fiction! I have so many books in my TBR stack that I haven’t purchased this book, but would love to win a copy. Always looking for a great book to read! Love escaping into other times when I have down time. Sounds like a wonderful read! Thank you for the chance. I’ve read that back cover a zillion times … but book isn’t in my hands yet. I am intrigued by this book. I also love the cover. Sounds like an interesting read. If you think it is good, then I’m sure it will be. Looking forward to your next book. I have all her books but don’t have this one yet. I love historical fiction and she is such a great author. Book sounds like something I would enjoy reading. Thanks for the chance. Would love to read one of Jocelyn’s books! She’s highly recommended! Looks like a great book! I don’t know very much about the French and Indian War in Canada, and it sounds fascinating. Love the cover! Thanks for the chance to win. Looking forward to reading this book! Thanx for the giveaway!!!! This looks like a exciting read!!!! 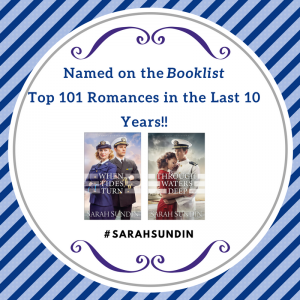 It is on my TBR list!!! This book sounds really good. I have never read any of her books. Thank you for the giveaway. This book sounds great! I have not read any books by Jocelyn Green yet, but I’ve been reading about the plots and I am eager to get to read one! I was born in Canada but have lived in the U.S. for 50 years. Though I grew up in Ontario this story about the war between the French and the Indians interest me. Of course in school we learned about this war. Would love to win. Thank you for this giveaway. I would love to read that book! And I love your blog. Lucky you! This book sounds great. Thanks for sharing! This is a new to me author. Thanks for your willingness to share. Would love to read this book! Thanks for a chance to win! Love historical romance. Feeds the brain while tickling the heart. I want to read this book, so choose me please! Thank you for the chance, I haven’t read anything by Jocelyn yet! I love historical fiction. Thank you for your kind offer. I’m running out of books to read. I “So” enjoy reading. Cuddled with my blanki, tea, background music & my book. God Bless to the writer & winner. I am such a history nerd and love several genres of historical fiction. I have not read anything by this author. The book sounds intriguing, and I enjoy historical fiction. thank you for this opportunity. I know anything you recommend will be good, but not as good as you!!!! I love the unusual setting and time period of this book. I enjoy reading Jocelyn’s books almost as much as yours! Thanks for the opportunity to win this book. So empowered by these wonderful women authors. Historical research and intriguing romanace add such detail and authenity when we all succumb to reading these novels we cannot put down. 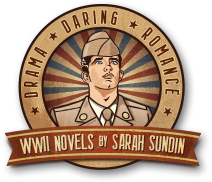 Sarah’s wonderful novels give us all a WW2 perspective not to be forgotten as this novel surely will succumb us into a long forgotten Century. Excited. Always on the look out for great books to read while camping this book sounds great. How exciting! I would love to read this book! I’ve been wanting to read this book! Thanks for the chance to win it. I have been wanting to read this book! I’ve read all Jocelyn’s other books and love them. Would love to read! Thanks for the opportunity to win! I just found out about Jocelyn’s books during the recent scavenger hunt. I’m easily hooked by Christian historical fiction and great cover art, so hers look like they are right up my alley. I am excited to start reading them soon! I love reading historicals. This is a time period I am not too familiar with so it would be an interesting book to read. Thanks for the chance. Between Two Shores is on my TBR list and I can’t wait to read it. I love Jocelyn’s books! Sounds interesting! Thanks for sharing and thanks for recommending books. I look through your Pinterest on books you’ve read. A lot of them I have read due to your recommendations! By the way, I’m a HUGE fan of your books! I’ve been telling so many people about your books! The characters seem real and each time I end a series, I’m sadden because I feel like they were friends and I want to keep up with them all. Also, the information you give is explicit. I know quite a few things pertaining to WWII era, but you’ve taken it to a hole new level of excitement in learning! And the way you describe the happenings of each battle they face makes it hard to put the book down! Great job and don’t stop writing! I have read Wings Of Glory and Waves Of Freedom. Excited to start another series of yours. Thanks again! I have been wanting to read a book by Jocelyn Green. This sounds like a good one to start with. I like Jocelyn Green’s book so much. Thank you for this opportunity. I have been wanting to read Jocelyn’s books, but haven’t yet. Thanks for a chance to win a copy! Between Two Shores has been on my list since I saw it!! Sounds like a great book and a beautiful cover. Can’t wait to read it! Historic fiction is the best! Just discovering Jocelyn Green! Loving her books so far!! I love Jocelyn’s books. Can’t wait to read this one. Thanks so much for the chance to win! Sounds Interesting, Thanks for a Chance. Oh, I love historical Christian novels! Would love to read from a new author. Slums like a wonderful story of God’s love and redemption. This sounds like a great story! Thanks!! This book sounds very interesting! Jocelyn is a new author to me. Thanks for the opportunity! What an amazing title and cover! I want to read this so much! This book sounds awesome! Thank you! A lot of readers seem to want to read this. I am just one more who loves this time period. Read the Last of the Mohicans but the real story was in Canada. I love historical fiction! Can’t wait to read this! Oh my I’m going to run out money before I do books. Can’t wait to read this intriguing book. 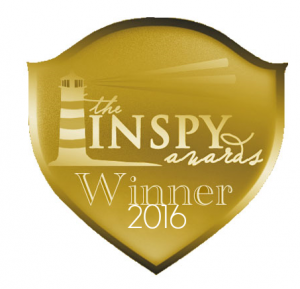 Thank you for the opportunity to win. Thanks for the giveaway,Sarah! Sounds like a great story! Thanks Sarah for the giveaway! Sounds like a great story! I’ve not read ANY historical fiction about the French and Indian War. FUN!! I’ve enjoyed Ms. Green’s previous stories and would love to learn more about Canada during this time period. I would love to be considered! I love historical fiction! I would LOVE to win this! Jocelyn Green has recently become one of my favorite authors. All the books I have read by her are incredible! Historical fiction is such a great way to learn history. An ancestor of mine fought in the French and Indian Wars on the Niagara frontier, later became a believer, and settled in downstate New York, so this book is of special interest to me. I’ve been watching this book for a little while now. I’ve read two other books by Jocelyn Green and they were great books. Thank you for the chance to win one. Im currently reading one by you Sarah. Its so good! I LOVE reading historical fiction! Thank you for the chance to win a copy of this book! Sounds like a really good book. Would love to read it! Looks like another time period to fall in love with and get lost in! You always have great book recommendations! I love the cover and can’t wait to read this book! Thank you for the chance to win. I don’t know much about the French & Indian war, but I am beginning to enjoy historical novels of time periods I am unfamiliar with. And the cover is great. 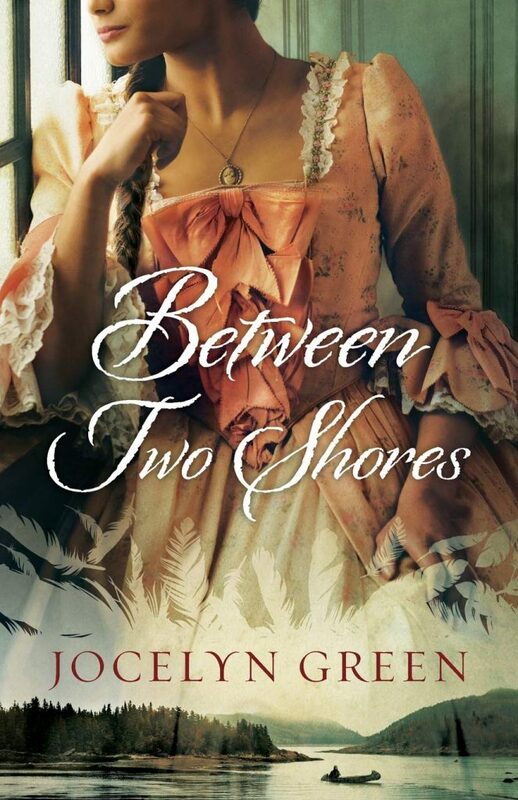 Since I know little about the French and Indian War and since I LOVE Jocelyn Green’s historical fiction books, I’m eager to read Between Two Shores.